Highbrow alert... 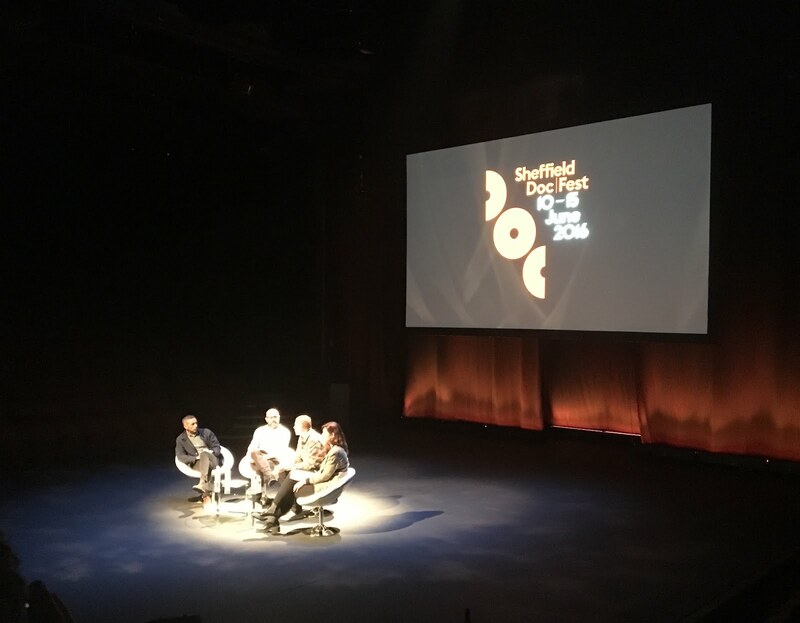 I just spent the weekend at a documentary festival, yo! 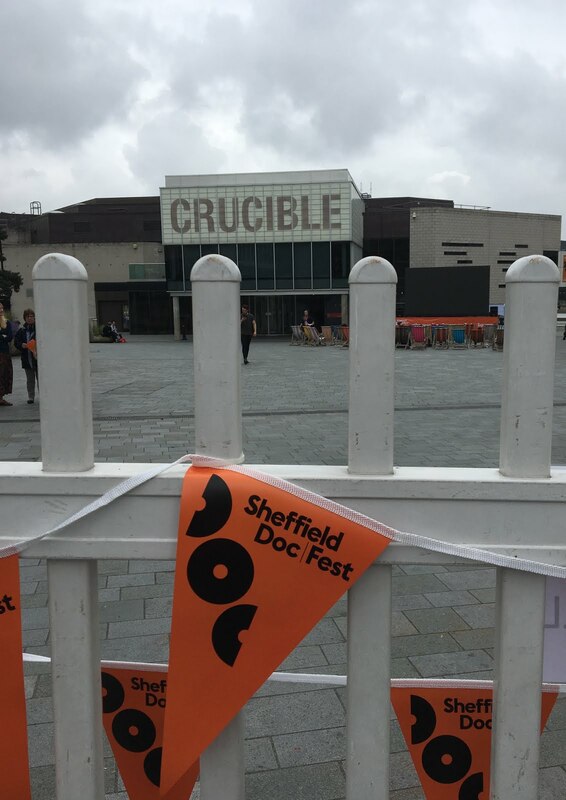 I'm always excited when Sheffield DocFest rolls around because the city comes alive at this time of year. Deckchairs and huge screens are scattered around town for outdoor viewings, street food stalls entice you with delicious smells, oh, and there are a whole lot of documentaries being premiered for you to get your teeth into. So I popped on my press pass and moseyed into town to soak up the atmosphere. With a coffee from Tamper at Sellers Wheel, because of course. 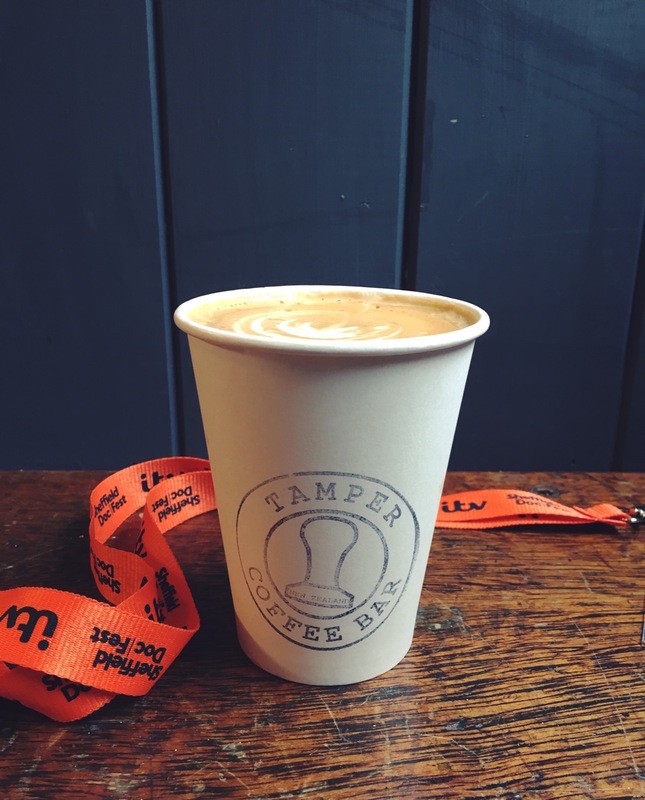 Did Tamper know that their interiors would go so well with the DocFest lanyards this year? Top marks! Fuelled up and ready to go, I settled in for, well, a doc fest. Crash and Burn introduced me to the hugely competitive world of Formula One while Sour Grapes proved a fascinating insight into the fraudulent vintage wine industry. I also went to a couple of talks at the Crucible, the first with Reggie Yates. Reggie loves to sink his teeth into a subject, so much so that he actually went to jail in Texas so that he could spend time with some of the inmates out there. The BBC3 doc will be out this year and from what we saw, it will be well worth a watch. Professor Green also did a talk about his experience with documentaries. His first, Suicide and Me, was an intensely personal one as Pro opened up about the death of his dad. He's since investigated the Dangerous Dogs Act, homelessness and during the talk he said he had plans for more docs, possibly focusing on children and mental health issues, in the future. Then came my absolute favourite documentary of the festival, Ants on a Shrimp. First up, ten house points for the name, doc makers! It followed super famous NOMA chef Rene Redzepi and his decision to up sticks from his restaurant's Copenhagen base and move to Tokyo for six weeks. A team of his best chefs flew out to Japan for a month before Rene joined them, tasked with coming up with a menu, and you want to give them all a cuddle when Rene turns up and announces that basically none of their ideas are good enough. So it's back to square one and the gang are soon foraging around in Nagano, on the hunt for some authentic Japanese flavours. Rene munches a leaf off the floor and says it tastes like 'an insistent human' while his incredibly Scandinavian-looking right-hand man, Lars, chews possibly poisonous mushrooms with merry abandon. Then it's back to the kitchens at the Mandarin Oriental for more trials, more cooking, more experimenting. Finally, service begins in January 2015. The move to Tokyo has proved so popular that there's a waiting list of 30,000 before it even opens. It's amazing to see the attention to detail behind the world's best restaurant. Rene and the staff go through the guest list each night before service, learning everyone's names and being told if they've been a guest at Noma before. Soon enough, diners are tucking into the starter of raw shrimps covered in ants. True story. If you're into food, or Copenhagen, or Japan, you have to watch it! Just make sure you're feeling brave first because some of the butchery scenes are, um, intense. 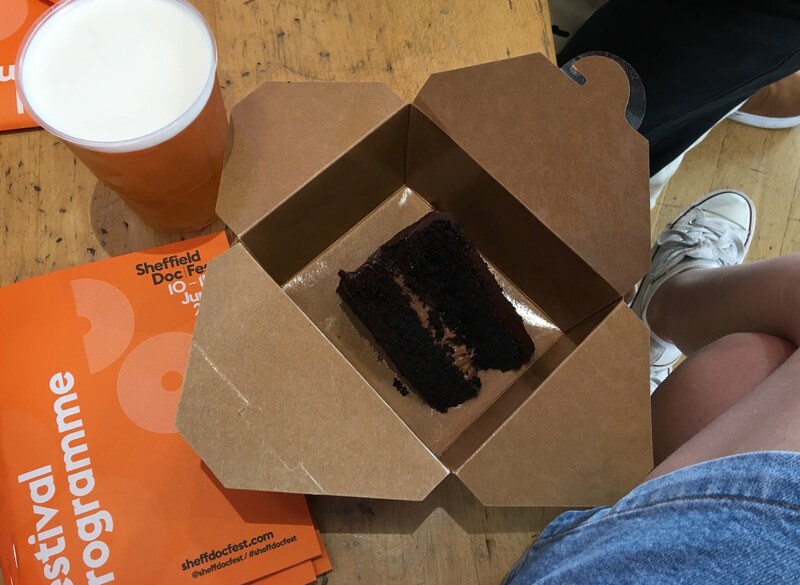 But it's okay, because at Sheffield DocFest you can make everything better by picking up a huge slab of nutella chocolate cake from Marmadukes before you go into a screening. 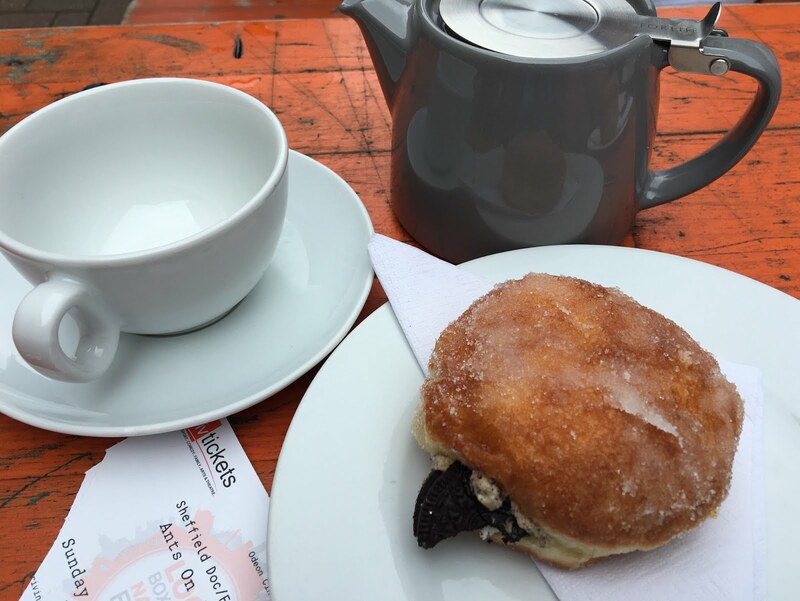 Or swap ants on a shrimp for Oreos on a doughnut, like I did at nearby coffee spot Steam Yard. Another couple of highlights, I'm not going to lie. 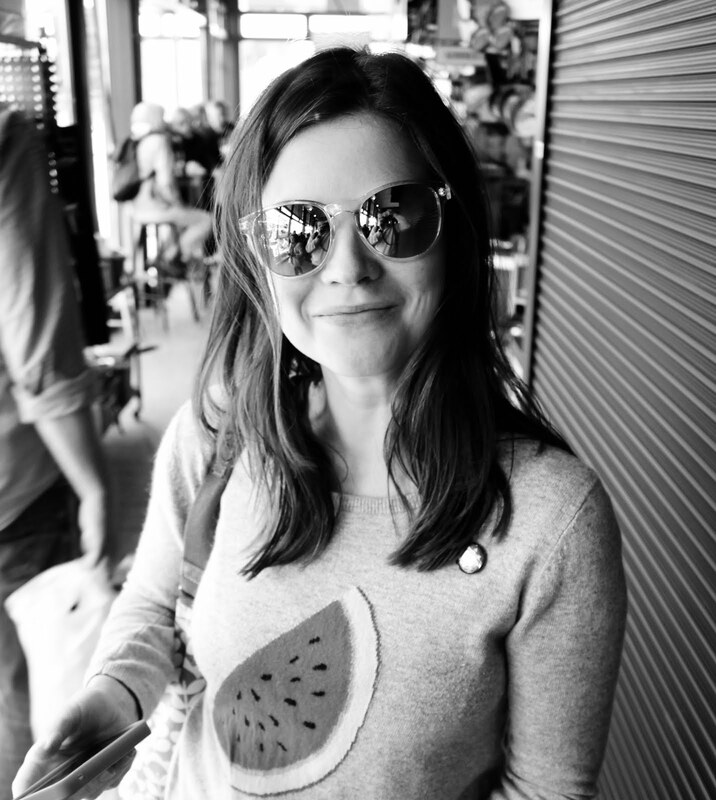 Find out more about the festival here and I'll see you there next year!